A great 19" touch LCD monitor based on the latest 5-wire resistive technology. Its native resolution is 1280x1024 (1.3 megapixels) with a 5:4 image format and fast response of 5 ms. The unique stand allows you to tilt the monitor display from -5 ° to 90 °. You can easily set it to a horizontal position. Of course, wall mounting is also possible thanks to the VESA 100x100 mm standard. The monitor is equipped with analogue (D-Sub) and digital (DVI) inputs. The touch screen connectivity is via a USB, or RS-232, interface that offers extraordinary usability. All Microsoft operating systems, and even old DOS, are supported. Also, Linux and OS for Mac are not taboo for this device. This monitor with touch screen makes it easy to communicate with the user via a programmable intuitive interface. Together with multimedia software applications, and the Internet, a powerful, simple-to-use communication device is also suited for non-trained users, allowing for quick understanding of the function. The widest use of this touchscreen monitor is for example in instrumentation, industrial machine control technology, medical technology, banking, information centers, schools, and applications that require safe, easy-to-understand and quick control. Additionally, the monitor is made in a very durable design with IP54 protection, which suggests its high protection against dust and water. This black universal is also equipped with stereo speakers and audio input. For a solid price, you get a high-quality display that characterizes Japanese precision, Japanese speed, and Japanese reliability. 19 " (48.26 cm) Done! 1280 × 1024 px Done! USB 2.0, Headphone output Done! Touch screen, Speakers, VESA compatible Done! 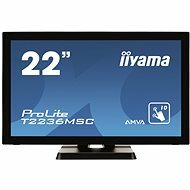 For shipping to other EU countries visit this page iiyama 19" ProLite T1931SR Touchscreen Black. Für Versand nach Deutschland, besuchen Sie bitte 19" iiyama ProLite T1931SR Touchscreen Schwarz. Chcete doručit zboží do Česka? 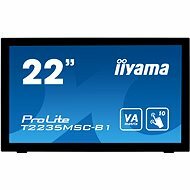 Prohlédněte si 19" iiyama ProLite T1931SR Touchscreen černý. Chcete doručiť tovar na Slovensko? 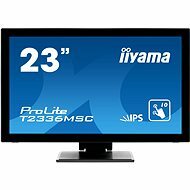 Prezrite si 19" iiyama ProLite T1931SR Touchscreen čierny. Für Versand nach Österreich, besuchen Sie bitte 19" iiyama ProLite T1931SR Touchscreen Schwarz. Magyarországra történő kiszállításért tekintse meg ezt a termékoldalt: 19" iiyama ProLite T1931SR Touchscreen fekete.